Discipline. Determination. Dedication. | JustRunLah! Running from the sea to land and back into the sea. This week has been very inspiring. 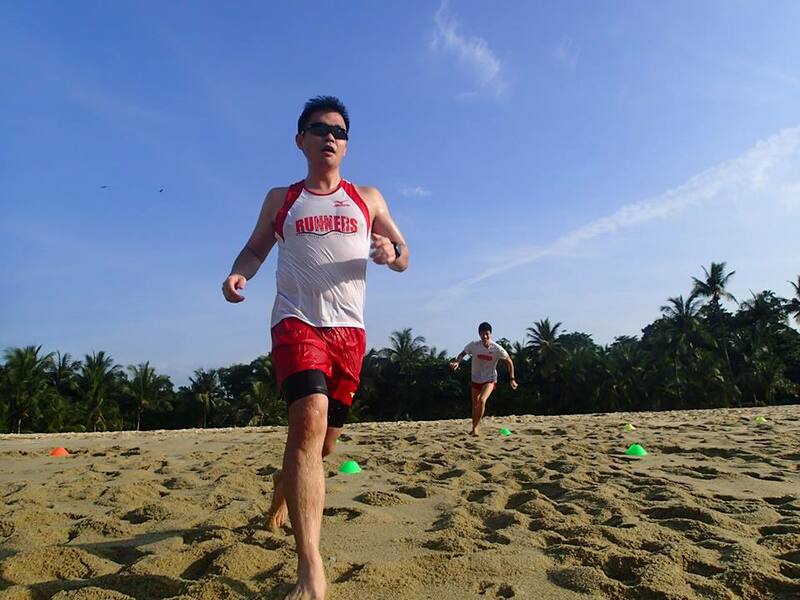 I had the privilege to receive some running tips from coach Lexxus Tan from F1 Runners, join the team in a Good Friday beach training, meet and get to know like-minded people and receive three very powerful words in running, the 3Ds – discipline, determination and dedication. My hubby has finally decided to join the F1 Runners after feeling stagnant in his trainings. After going for a few sessions and finding it useful, he encouraged me to take up an assessment with coach. 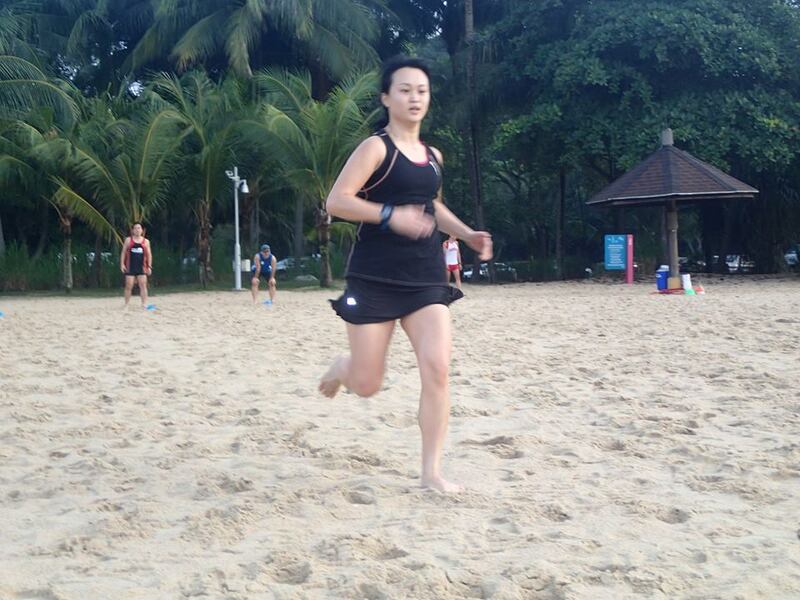 Coach Lexxus Tan took me through some drills and courses to observe my running form and assess my strengths and weaknesses. He then provided me some tips on areas I could work on and improve on. He was very generous with his sharing and took the session very seriously. I really appreciate the coaching session as with immediate effect, I could correct myself to do better. Although I could also join F1 Runners but considering my work and personal commitment, I have to put a hold on this. I decided to join the CBD Runners instead first as it takes place weekly. From there, I can slowly prioritise while building up. This also means I FINALLY found a running group to train with. So, on Good Friday, I joined them for a beach training. When I woke up, I really had no idea what I was in for. I had not expected us to kick off our shoes and run on the sand barefoot. I most certainly had not expected us to get wet (from sea water). It was very refreshing and makes training less dull. It was a break from the usual routine and coach set up relays and circuits. Through these, we had a combination of cardio, speed and strength training. Yet, it was so enjoyable. I had to admit it was also torturous. However, with a group of highly motivated runners doing them together, there was really no excuse to stop. 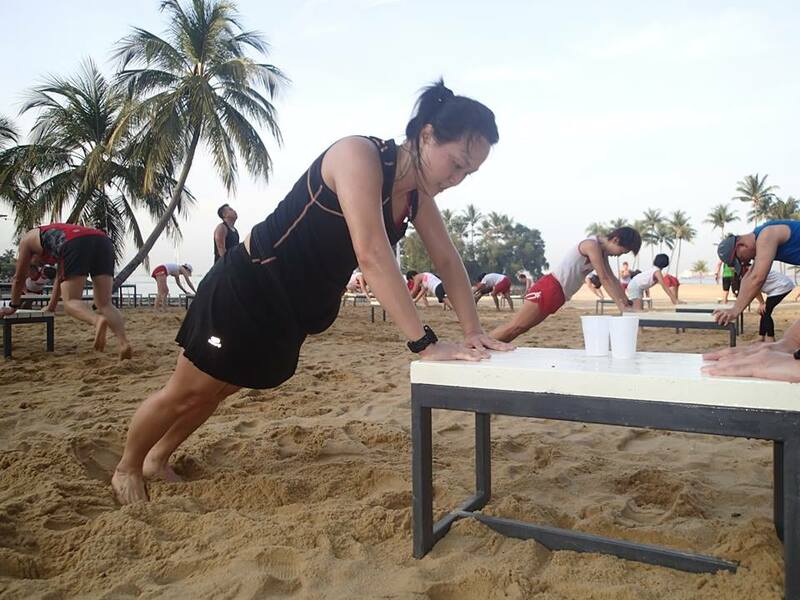 Everyone lived up to the F1 Runners’ motto of discipline, determination and dedication. Everyone had a goal and was striving towards it. 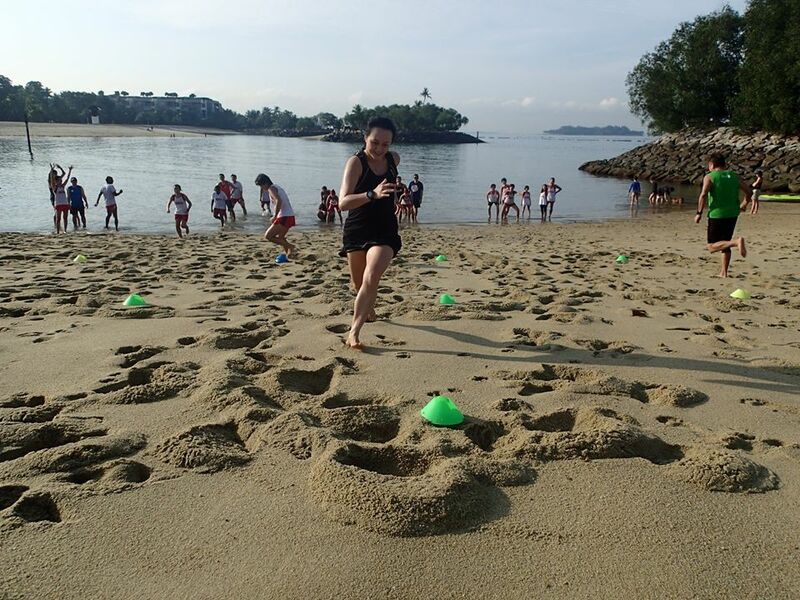 It was also an honour to be on such a fun training together with our SEA Games representative, Jasmine Goh! Before this week, I had no idea it could be so fun joining F1 Runners. They had produced many podium runners and I always thought only the elites train with them. I discovered that anybody can join them as they have different categories and levels to suit different runners and motivations. Some people joined for health reasons, some for personal achievements. 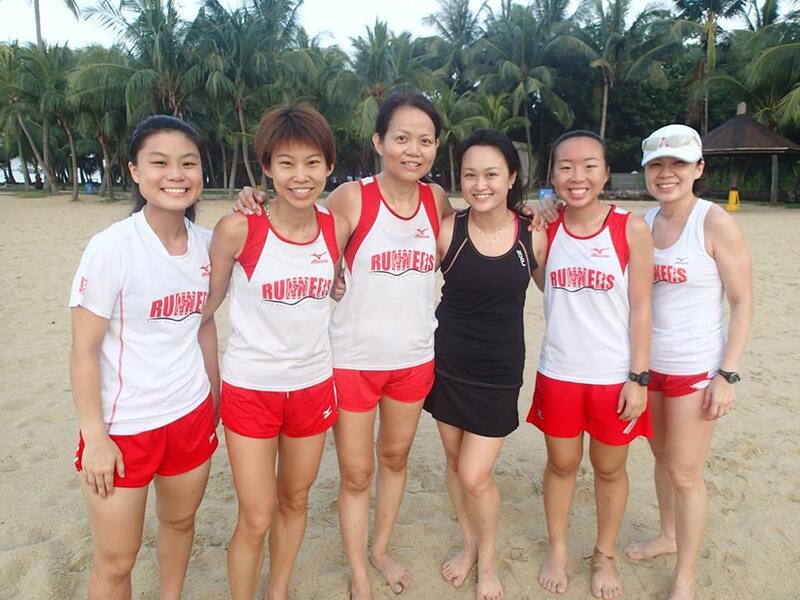 The runners are also very friendly and the atmosphere is light-hearted and easy going. They are also very supportive of one another. Rain or shine, F1 Runners also do not stop training. They have a whole week of training in the mornings and evenings. I thought this is really awesome. Once again, living up to the motto! Now, the 3Ds are etched onto my mind. These three words are really inspiring. It gives me no excuse to hit the snooze button ten times now. Ok! I am going to be discipline and go offline so I can wake up early. I am determined to do my LSD tomorrow. 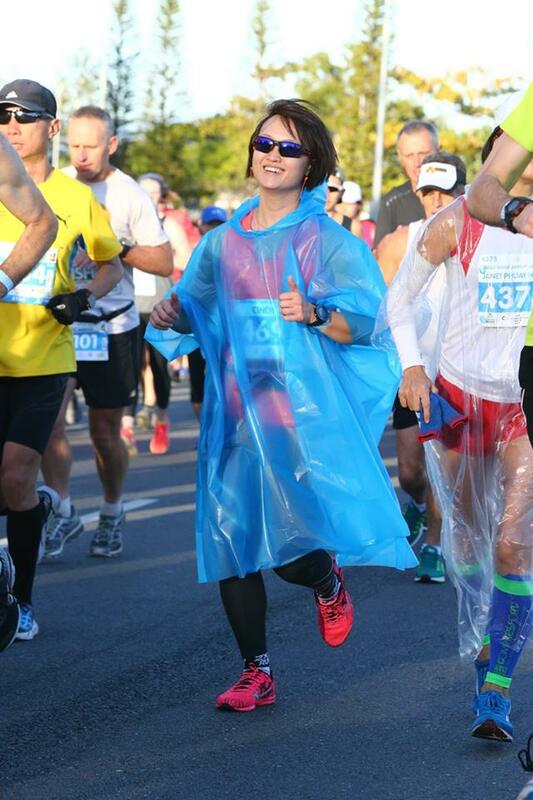 And I am dedicated to complete my trainings for the Gold Coast Marathon.